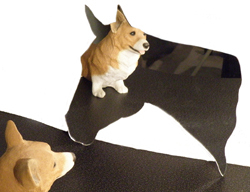 This is a Acrylic mirror that we have cut into the shape of a horse head. We can also add text to our horse shaped acrylic mirrors. 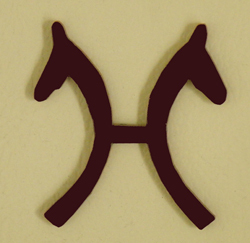 We have a large selection of horse shapes to choose from. Acrylic mirror that comes in either oval or rectangle shape. Mirrors come with engraved text and your choice of horse design or breed logo. Plastic cut & engraved horse stall nameplate. Can also be used as a sign. Plastic can be cut in & size you need. 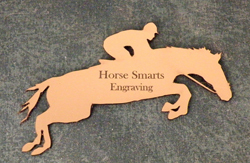 This stall plate comes with engraved horse design or breed logo. Plastic cut & engraved horse stall nameplate. Can also be used as a sign. Plastic can be cut in & size you need. Indoor / Outdoor rated plastic. 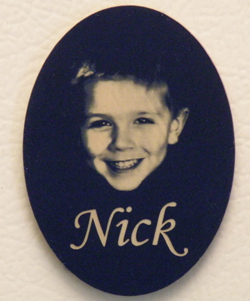 Plastic refrigerator magnet with engraved personal photo. Plastic refrigerator magnet with engraved personal 3D photo. Plastic refrigerator magnet with engraved personal photo. 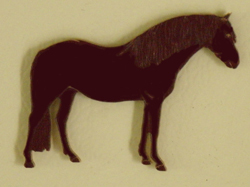 Plastic refrigerator magnet cut in the shape of a Oldenburg horse head. 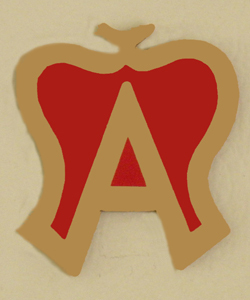 Plastic refrigerator magnet cut in the shape of the American Warmblood breed logo. 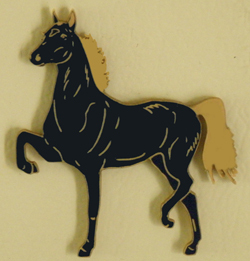 Plastic refrigerator magnet with the Andalusian horse design. 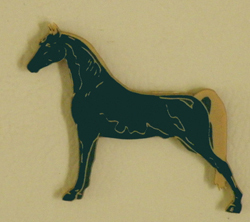 Plastic refrigerator magnet cut in the shape of the standing horse. 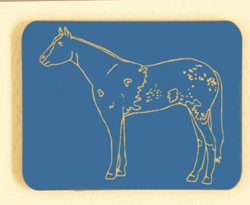 Plastic refrigerator magnet with the Appaloosa horse design. 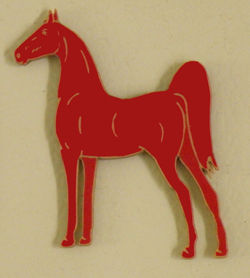 Plastic refrigerator magnet cut in the shape of the prancing horse. Plastic refrigerator magnet cut in the shape of an Arabian horse head. 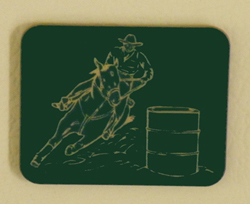 Plastic refrigerator magnet with the a barrel horse and rider engraved on it. 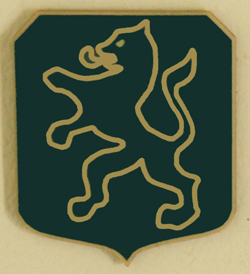 Plastic refrigerator magnet cut in the shape of an Conemara pony. 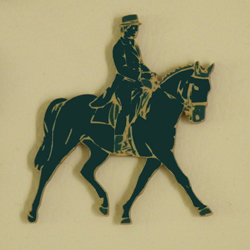 Plastic refrigerator magnet cut in the shape of an Dressage horse and rider. 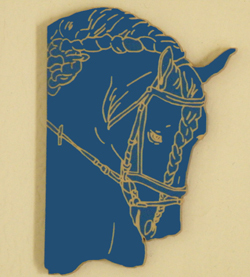 Plastic refrigerator magnet cut in the shape of the Dutch Warmblood breed logo. 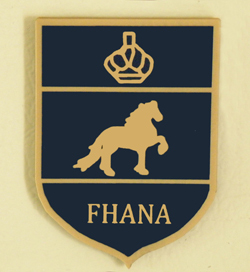 Plastic refrigerator magnet cut in the shape of the Friesian breed logo. 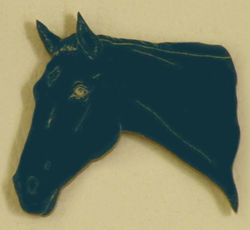 Plastic refrigerator magnet cut in the shape of the a Friesian Head. 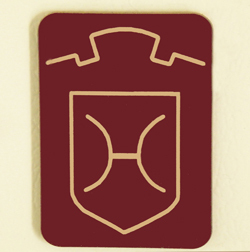 Plastic refrigerator magnet cut in the shape of the German Hanoverian horse breed logo. 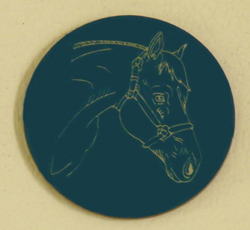 Plastic refrigerator magnet engraved with the Holsteiner horse breed logo. 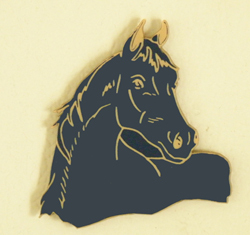 Plastic refrigerator magnet cut in the shape of a horse head. 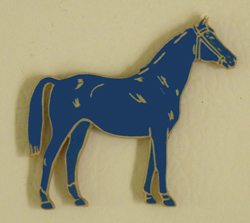 Plastic refrigerator magnet cut in the shape of a Thoroughbred head. 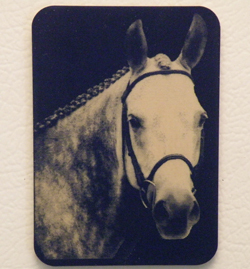 Plastic refrigerator magnet engraved with Quarter Horse head. 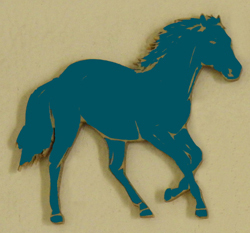 Plastic refrigerator magnet cut in the shape of a running horse. 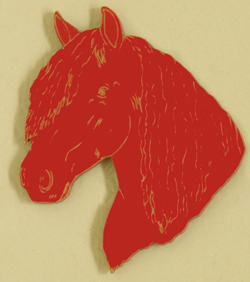 Plastic refrigerator magnet cut in the shape of a Saddlebred horse. 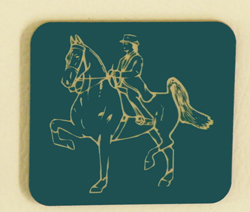 Plastic refrigerator magnet engraved with Saddle Seat horse and rider. 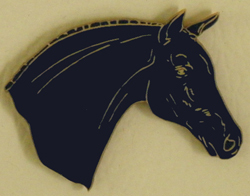 Plastic refrigerator magnet cut in the shape of a stallion head. 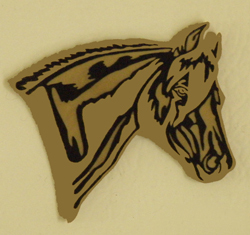 Plastic refrigerator magnet cut in the shape of a Tennessee Walker. 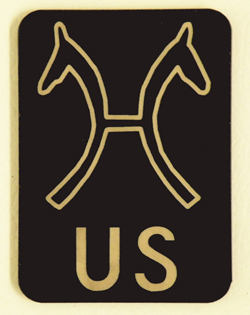 Plastic refrigerator magnet engraved with the US Hanoverian breed logo. 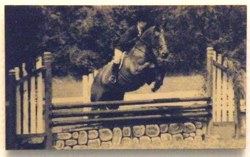 Plastic refrigerator magnet cut in the shape of a jumping horse and rider. Engraved text can also be added to this magnet.